Human factor, weather conditions or a technical failure could have caused a Mi-8 helicopter crash in Kirovohrad region on December 25. "Human factor, weather conditions, and a technical failure of the helicopter are considered to be possible causes for the tragedy," an informed source told Interfax-Ukraine on Wednesday. 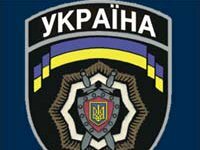 As reported, a Ukrainian Interior Ministry helicopter crashed in Kirovohrad region, killing five people on December 25. The crash occurred at the Oleksandria airfield at about 1600. "For unknown reasons, a Mi-8 helicopter started dipping down soon after climbing and collided with the ground. Three crewmembers and two ground service specialists tragically died in the crash," the Interior Ministry said.